My Father-In-Law sends me great bicycle related stuff often. 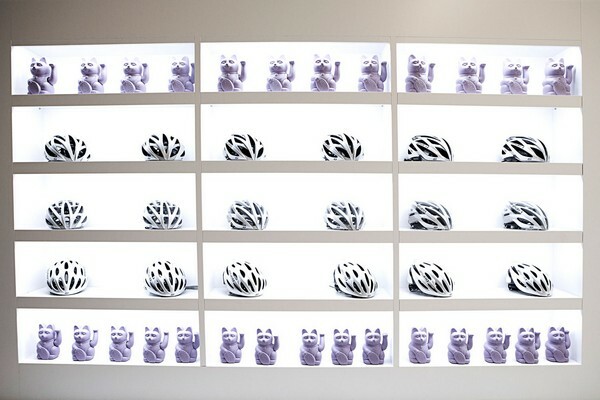 This is an article about a bike shop with a different concept. The focus is clean lines, and bikes are displayed a art. Personally, I think this model won't work and I can imagine the inefficient use of space will be costly in the long run. Biking fans everywhere, here is something that will make your day! 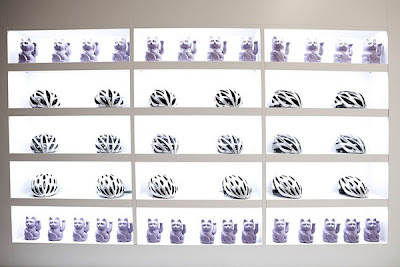 Designed by architect Joan Sandoval, this incredible bike store located in Barcelona displays its products as if they were paintings in a gallery: using white and well-lit display cases for a maximum customer’s thrill. 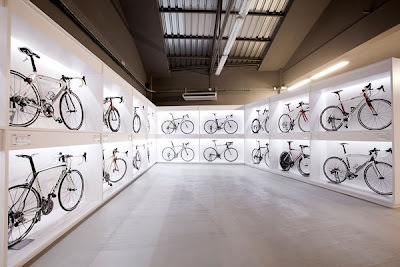 “The project started with the owner of the shop, a bicycle and cycling enthusiast called Javier Maya, 9 months ago. 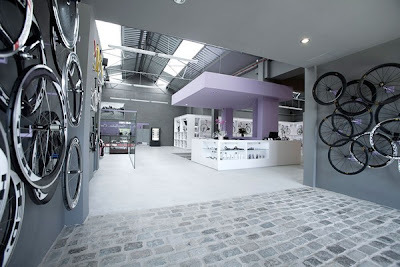 The idea is to offer much more than just a cycling shop. We have showers for use after training, a nice TV to watch Giro, Le Tour, Paris Roubaix…There is a paved entry, making reference to the name of the shop and the classic bicycle race. The shop is 700m2 with lots of space where you can enjoy all the products.” Biking fans, have you ever seen a more captivating bicycle shop?